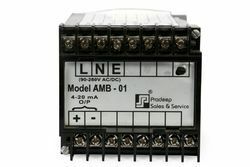 Our organization is instrumental in offering Current Converter Unit. 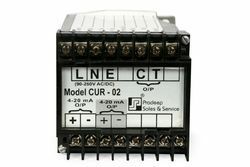 Under the offered range, we have RTD-CCU, Ambient Current Converter Unit and Current Converter Unit. Offered converter units are widely appreciated for their reliable performance, portability, noise-free operations and less maintenance. In order to ensure that our provided converter units have aforementioned features, we manufacture these using high quality raw material and modern machinery. 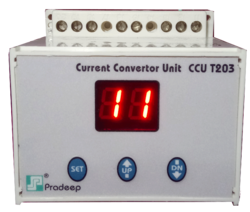 We also provide these converter units in accordance with the detailed specifications. We are an accredited organization engaged in offering RTD-CCU, which is capable of working with series of auxiliary supply voltage (90-260 V AC/DC). In addition to this, provided converter has an input & output isolation. With an aim to meet the expectations of patrons, we manufacture these converter units as per the globally laid quality standards. Owing to our rich industrial knowledge, we are able to offer Current Converter Unit For TPI. In order to ensure the compliance of these converter units with the universally accepted quality standards, we manufacture these using premium quality material with the assistance of professionals. Prior to dispatch, our quality controllers check these converter units so as to ensure their peerless standards. With an aim to stand tall on the expectations of patrons, we are engaged in manufacturing, supplying and exporting Current CCU. Manufactured using supreme quality raw material and based on latest technology, provided current converter units ensure reliable performance. Moreover, we strictly adhere to globally laid quality standards while manufacturing these current converter units.